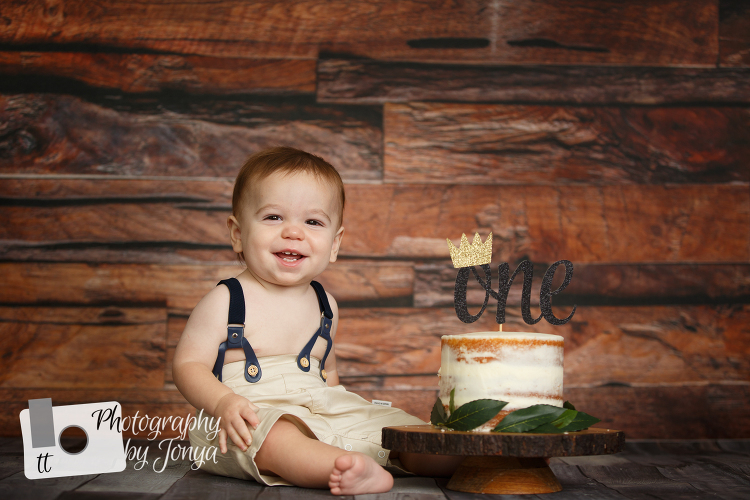 This adorable rustic boy cake smash session was designed for Cody for his first birthday photography session. With a rustic backdrop, no banner, a wooden cake stand and linen pants we were able to take this cake smash from an idea to a reality. Sometimes a boy’s cake smash is harder to pull together, so many times we stick with the color blue, or a sailor or nautical theme cake smash. Cody is beyond handsome. His brown hair and captivating brown eyes worked perfectly with the dark wood backdrop. The cuteness was even better those black suspenders. They were a little too big for him but I think that made it even cuter! 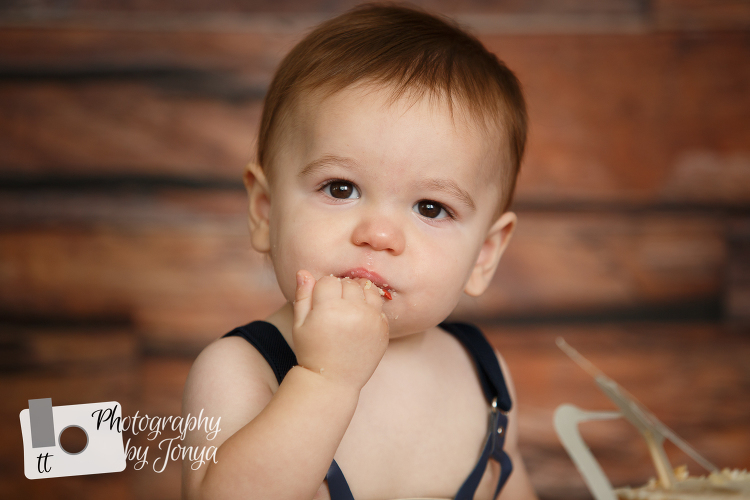 At the start of his cake smash session, he was more interested in flirting with me and hamming it up for the camera…. and there are no complaints on this end with how it started. After he realized he had my undivided attention, he slowly started to dive into the smash cake. The cake was made by a local baker, Wendy’s Confections Cake Shop, located here in the Apex, NC area. I love the real leaves she included on the cake. This helped us bring a little color and a little more life to the cake smash session. Not only did she make a beautiful cake for this session but she also delivered the cake to help mommy out the morning of the session. I mean, who really wants to drive around with a beautiful cake and risk it tipping over before the session. This is a real struggle and I love that Wendy helps address the issue with this option. 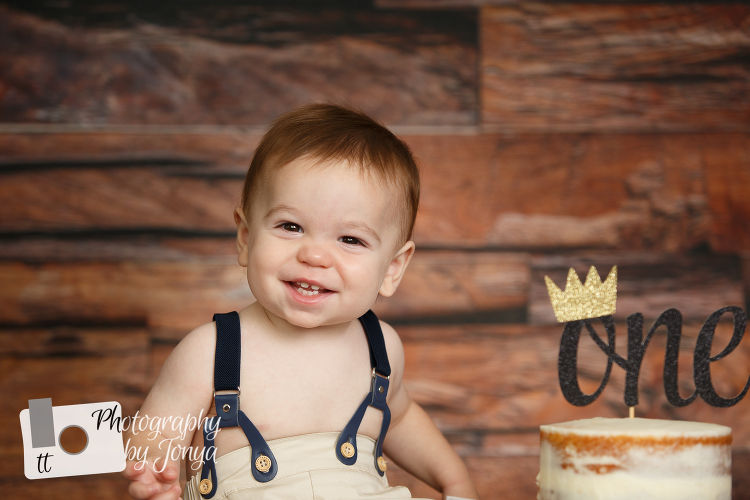 Cody ate quite a bit of his cake… and when he was all done, he let us know when he smiled big and crawled off the set. It was a clear sign that he was done. Luckily, mommy was able to enjoy the rest of the cake at home for dessert.